The recurring theme of the multitude of 2018 technology and cybersecurity predictions from a host of experts, according to Bryant G. Tow, Managing Partner of CyberRisk Solutions, is they are a continuation of what we have been seeing for the past few years. Predictions range from the “explosion” of threats through the Internet of Things (IoT), digital exploitation and blockchain to using ransomware to shut down point-of-sale systems. 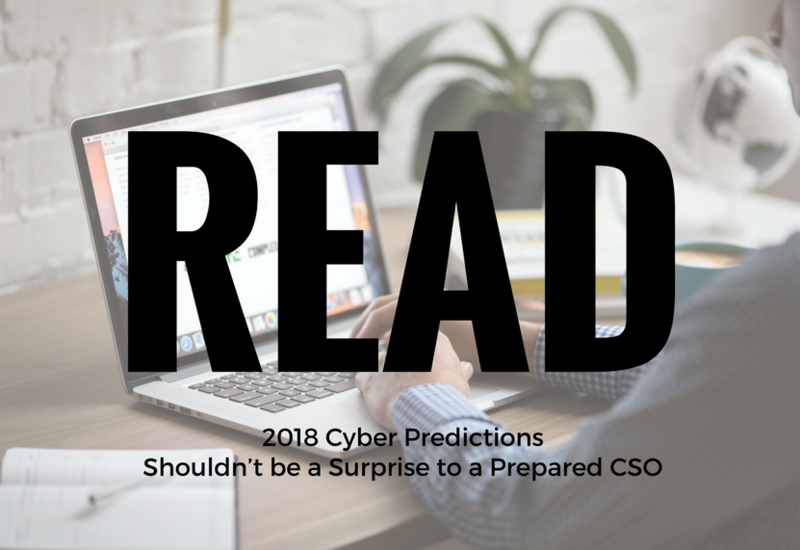 Continue reading 2018 Cyber Predictions Shouldn’t be a Surprise to a Prepared CSO as Managing Partner of CyberRisk Solutions Bryant G. Tow expands on focusing on these 10 areas to remain vigilant in cyber efforts in 2018.